For a man with an ego the size of a blue whale, it’s a chant that must cut Jose Mourinho to the quick. Already this season we’ve heard it at Watford (implausibly) and Chelsea (predictably) as well as at Old Trafford from the visiting fans of Burnley (joyously) and Manchester City (particularly loudly). “You’re not special anymore,” they sing. And from the evidence of the past 18 months it’s hard to argue. Remember, “The Special One” wasn’t some Press invented moniker. The Portuguese coined it himself at that memorable news conference at Stamford Bridge back in 2004. He’d arrived fresh from winning the Champions League at unfancied, unfashionable Porto. In his first year in west London Mourinho delivered the double. He went on to win the Premier League title again the following season as well as garnering two League Cups for good measure. Despite winning La Liga at Real Madrid the Galactico fans never truly warmed to him, but it appeared it was business as usual when he returned to England and won another championship at Chelsea two seasons ago. After that, though, the case for the prosecution gets seriously compelling. It’s no secret that he lost the dressing room at Stamford Bridge, and it’s also common knowledge that his relationship with owner Roman Abramovich was never the same after the Russian billionaire sacked him in 2007. 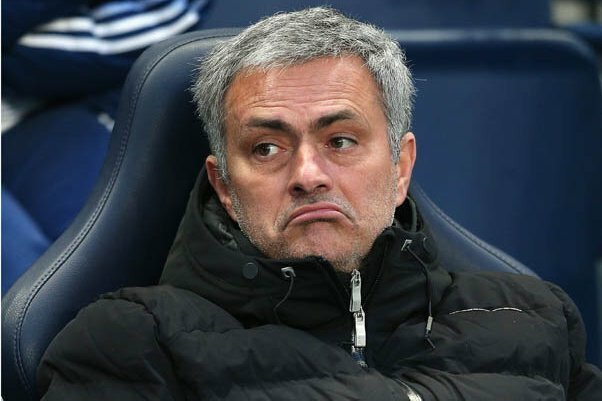 The start of the 2015-16 season at Chelsea was a total disaster and by Christmas Mourinho was history at the Bridge. His arrival at Manchester United had Red Devils fans purring – after the madness of Moyes and the hilarity of van Gaal surely they’d finally appointed a rightful successor to Sir Alex. So far, though, the jury is out – and they’re not about to come back anytime soon. The Red Devils were a pre-season heavily backed favourite to win the Premier League with the bookies, but after their indifferent start are out to 33/1 outsiders with Sun Bets. In his pomp at Chelsea, Mourinho had that famous spine running through his team: Cech, Terry, Lampard and Drogba. Now consider the United class of 2016: De Gea is a shining light in goal, but there isn’t a single world class defender in front of him, Pogba (the most expensive player on the planet) has only rarely shown anything remotely resembling his Juventus form, whilst up front Rooney is past his best and Rashford and Martial are still works in progress. When Mourinho first arrived in the English capital Sir Alex was his only serious managerial rival. Arsenal had just completed their famous unbeaten season, but the Portuguese had the hex on Wenger from the very start, and to this day he’s still never lost a League game against the Frenchman. But now he has to compete against golden boy Guardiola at City, the gloriously cavalier Klopp at Liverpool and you can throw Tottenham’s Pochettino into the mix as well. If the Portuguese somehow manages to return United to their glory days they can engrave the word “special” on his office door – and probably in capitals. Until then the 12 good men and true must continue their deliberations. No one is suggesting Mourinho has lost the plot…but if “all political careers end in failure” (David Cameron after the Brexit vote) it might well be that football managers suffer a similar fate. Nigel Seeley has over 25 years of experience in the betting industry as a former sports betting tipster at the Racing Post and an odds compiler for leading bookmakers. Nigel is currently the betting tipster for The Sun and is renowned as one of the UK’s top tipsters.